The offers of the Belvir Hotel give you the opportunity to save money and spend your holiday in Villasimius, one of the most beautiful destinations in Southern Sardinia. Take advantage of our low season promotions, the Belvir Hotel is open all year round. For a family holiday with children, the baby travels free offer of the Belvir Hotel is a special promotion where a child up to 8 years of age stays for free. 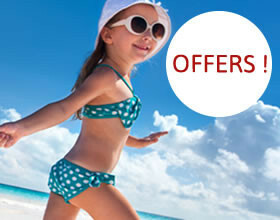 And for those who like to plan ahead, there is an Early Booking offer. The offers cannot be combined. With the Baby Travels Free Offer in Villasimius, the 3° extra bed for a child up to 8 years of age sleeping in a double room is free throughout October and November 2014 (bed and breakfast). 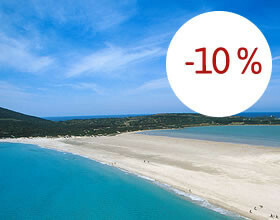 Spend a holiday in Sardinia during the low season. In October you can get a 15% discount on confirmed bookings starting October 15th, 2014. Take advantage of the Early Booking Offer, you will get a 10% discount on confirmed bookings between September 1st and October 14th, 2014.